I’ve mentioned before my affinity for products that have a great story behind them. It’s true – whether it’s a new product that arises out of something inspirational or it’s an heirloom piece full of great stories and a little bit of mystery, I seem to enjoy them the most. Such is the case with Victory Leather’s Oak Bark Leather Belt. Peter Sandford, a designer, maker, artist, and entrepreneur founded Victory Leather in Hampshire, UK, which is based on the south coast of England, within sight of Portsmouth’s historic dockyard, home of Nelson’s HMS Victory and the inspiration for his brand. Peter’s no stranger to creating high quality leather goods – he’s been involved in leatherworking for quite some time, making bespoke watch straps, wallets, and briefcases. And, he also has a successful track record with a previous Kickstarter campaign for his Shuttl minimalist dockable wallet system. The leather. It’s one of those very exciting parts of why this belt really grabbed my attention. The leather from this belt comes from a tannery located in the southwestern part of England that has been there, on the river, since Roman legionnaires marched past it. Amazing. The same family has owned it for the past 150 years. Again, amazing. Here’s some more amazing information. This leather uses a natural tanning process that combines river water and the shredded bark of English Oak trees. It’s a slow, eco-friendly, process that yields simply beautiful leather. It’s strong, flexible, smells amazing, and extremely durable. It’s an 18-month process to utilize this tanning method. 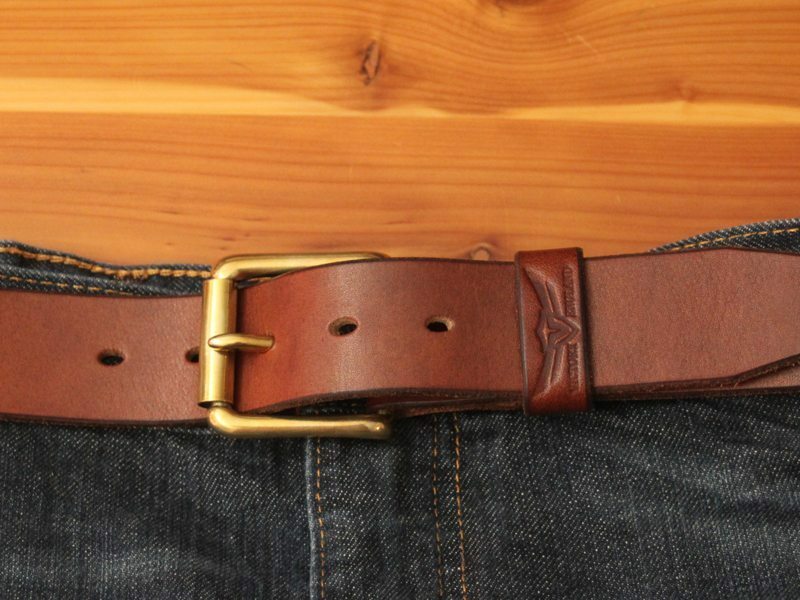 My belt is 1.5 inches wide and is a gorgeous dark oak color with a brass buckle and solid brass Chicago screws. The thick leather edges are beveled, burnished, and dyed. The belt holes are oblong so that your buckle post rests in a flatter, more natural position when secured in the belt. 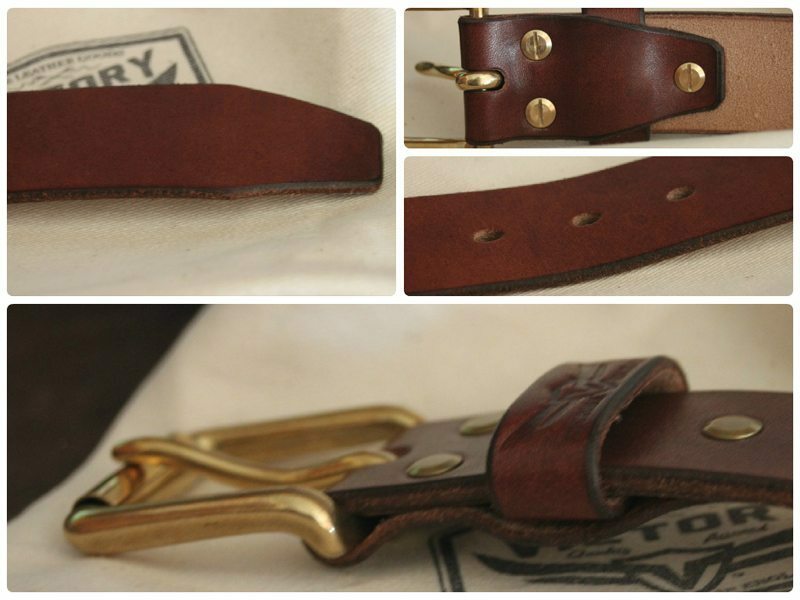 Victory Leather’s logo is tastefully placed on the belt loop and looks great. 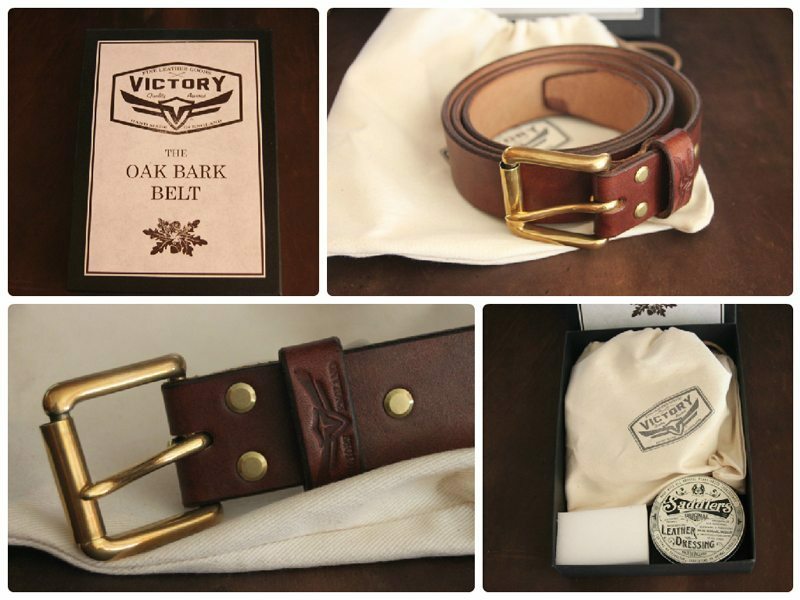 The Victory Leather Oak Bark Leather Belt performs its role perfectly. My pants stay up, my shorts stay up…it’s all good. I also appreciate the use of the solid brass Chicago screws versus stitching or rivets. It’s nice to have a belt that I can swap out the buckle easily should the occasion or need arise. This belt generates attention. It started generating attention before I ever wore it. I had it on my desk for a couple of weeks and it was interesting to see how many people picked it up, commented on the way it felt…and then, they smelled it…and the comments continued. It feels great and has a unique, very pleasant smell to it. Wearing it is a pleasure. It feels fantastic and has a rich look to it. It’s perfectly capable of complimenting your favorite jeans or will look excellent when used in semi-formal situations too. 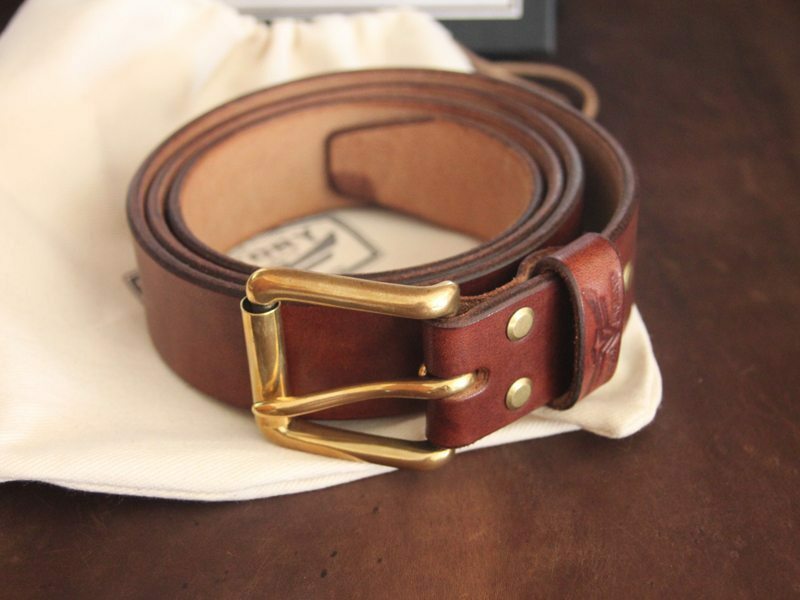 The Victory Leather Oak Bark Leather Belt is definitely what we’d consider a Buy It For Life item. “A belt built to outlast its owner” is how Peter refers to it. At $120 (its post-Kickstarter price) it’s a little more expensive than some of the belts we’ve featured in the past. But, it also has a pedigree that those other belts lack. In addition to the unique leather (and amazing history behind it), it also sports impeccable craftsmanship…something that we appreciate, respect, and highly endorse. For a limited time (through June 30th) you can secure one of these amazing belts for about $93 USD during the Kickstarter campaign. Can’t decide on what color to purchase? Get two (there’s a package for that) or all 3 (save even more and really be set for life in the belt department). Finally, we are also hoping to work with Peter to feature more information about the tannery mentioned in this article soon. Thanks! 2 Comments on "Victory Leather Oak Bark Leather Belt Review – $93"